We all know Star Wars: The Force Awakens is open HUGE, but it might debut bigger than we all expected, with The Hollywood Reporter revealing that JJ Abrams highly anticipated return to a galaxy far, far away has booked every IMAX screen in North America for one month, leaving other large format epics like The Revenant and In The Heart of the Sea without the boost an IMAX release would give. Not including foreign screens, this means The Force Awakens will have 375 to 400 IMAX screens solely to itself for four weeks, meaning quite a bit of extra coin in Disney’s pocket. While Warner Bros. and IMAX struck a similar deal with The Hobbit trilogy, something like this does’t really come around very often, but it is Star Wars we are talking about here, and with a chase sequence involving the Millennium Falcon (yes, that one that made your jaw drop in the latest trailer) shot exclusively in the large screen format, movie goers should get quite a bang for the price of their premium ticket. Lets face we’ll all want to see this movie, and if it means seeing it on the biggest screen possible, I think we’ll gladly hand over our hard earned cash (multiple times is highly possible). This turn of events also points towards The Force Awakens crushing Jurassic World’s record, pulling in $44.2 million worldwide on IMAX screens alone, with ease. 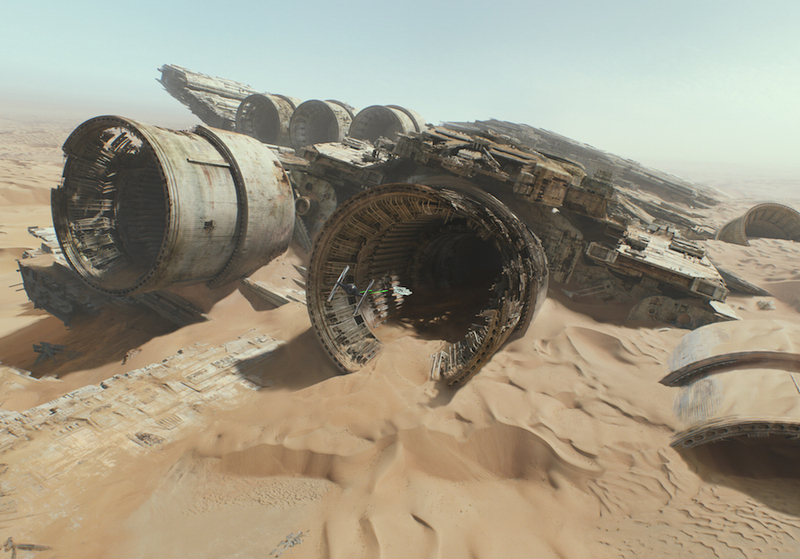 Star Wars: The Force Awakens is set fro release December 18th.